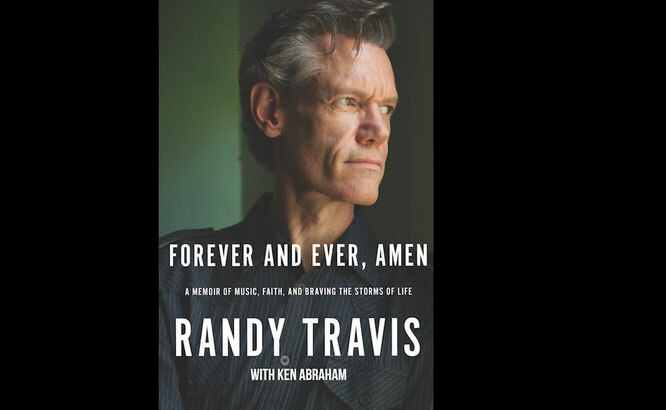 Randy Travis announces long-awaited memoir: Forever and Ever, Amen - Newhillbilly website. 100% American Roots Music. With lifetime sales in excess of 25 million, Randy Travis is one of the biggest multi-genre record sellers of all time and a recent inductee into the Country Music Hall of Fame class of 2016. His honors include seven Grammy Awards, 10 Academy of Country Music statuettes, 10 American Music Awards, two People’s Choice awards, seven Music City News awards, eight Dove Awards from the Gospel Music Association and five Country Music Association honors. In addition, three of his performances earned CMA Song of the Year honors: “On the Other Hand” (1986), “Forever and Ever Amen” (1987) and “Three Wooden Crosses” (2002). To date, he has 18 No. 1 singles, 29 Top-10 smashes and more than 40 appearances in feature films and television shows to his credit. Ten of his albums are Gold Records. Eight are Platinum. Two have gone Double Platinum. One is Triple Platinum and another is Quintuple Platinum. In 2004, Randy was honored with his own star in the Hollywood Walk of Fame and is honored on the Music City Walk of Fame in Nashville, TN. He has been a member of the cast of the Grand Ole Opry since 1986. In 2017, Randy was honored with a wax figure at Madame Tussauds™ Nashville. Since his near fatal stroke in 2013, with the help of his wife Mary and rigorous physical therapy, Randy continues to make improvements in his speaking, walking, and yes, singing. For more information please visit randytravis.com.